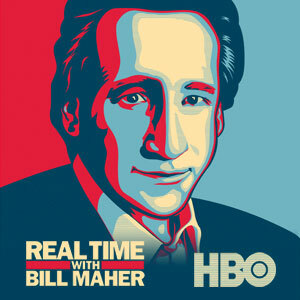 Why is it that liberal 1 Million Dollar Obama Campaign supporter Bill Maher can make a racist remark like, “if you vote for Romney, the “Black People” know who you are and will come after you” on HBO without any of the liberal media chastising him? If a conservative would have made that kind of a statement, the liberal media and the NAACP would have been all over this calling conservatives “racist”. I think it is an outrage and the black community should be outraged about comments like this. This does not bring the country together, but divides people. We are all Americans regardless of our ethnic backgrounds. Where is Jesse Jackson for example condemning this statement made by Maher? He would have been on TV if someone like Rush Limbaugh would have said it. It is clear by a statement like that, that it is the liberal side of the Democrats that incites class warfare, not the other way around. I think it is a shame that is this day and age we have to bring color into the Presidential race, rather than the issues such as economy, unemployment etc. Bill Maher needs to apologize for this statement instead of being allowed spewing his hatred for conservatives on HBO and other shows. I voted for the other guy and my decision was not because of color. I voted for Romney because I fimly believe that he has a better plan for the next 4 years. Do I not have the right to my beliefs and opinions? Should I be intimated by Maher and be afraid that “Black People” will come after me? That kind of statement Maher made, shows me clearly the mindset of liberals. It’s time for this nonsense to stop and for people to step up, condemning those kind of remarks from either sides. We as Americans need to come together as one. Sorry to respond now as this might no longer be of interest, but somehow I feel compelled to insist. My first response is woefully incomplete. 1) Yes, Maher making outrageous or incisive comments is nothing new. My earlier response was to point out that he has accumulated enough credibility to afford him the leeway to make “color” statements without fear of retribution from the regular NAACP types. 2) The reason is that it is not racist (at least not in the first degree), he is just tapping into that well of white anxiety about black aggression AND mocking (bird?) it. So if it is racist, it is anti-caucasian. THAT is the reason why NAACP is not after him. There are some things that you seem not to be understanding about Maher… He is also one of the few white guys that get away with the n word in all impunity. You might not understand why but is a very easy read.